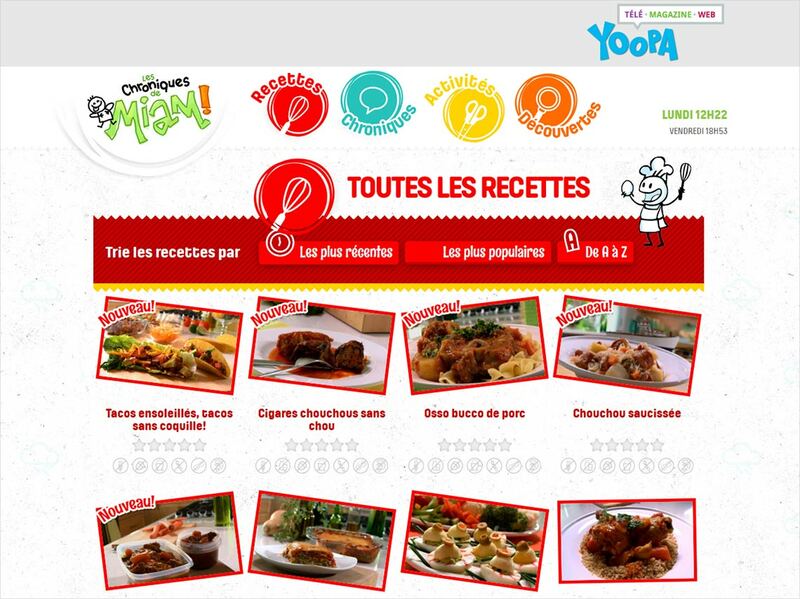 This convergent website takes the form of a modern HTML5 web magazine about food for the whole family. Kids, accompanied by their parents or grandparents, will of course find on the site the recipes of the show but they will also discover new exclusive content featuring seasonal foods and activities. Different fruits and vegetables are available throughout the year and the calendar is punctuated by all sorts of events that are good excuses to discover new foods, so the web magazine explores this idea and offers content that invite families to cook, create and have fun together throughout the year.